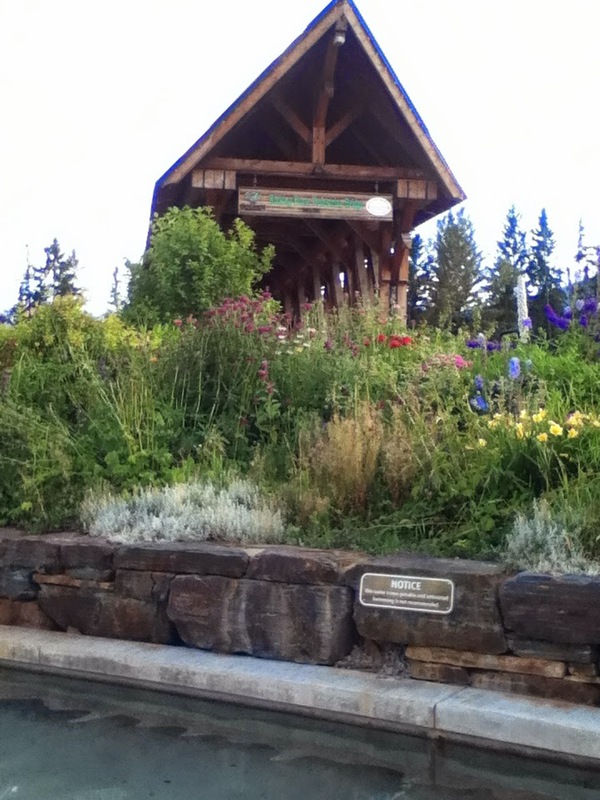 golden,bc was one of the stops during our summer road trip. 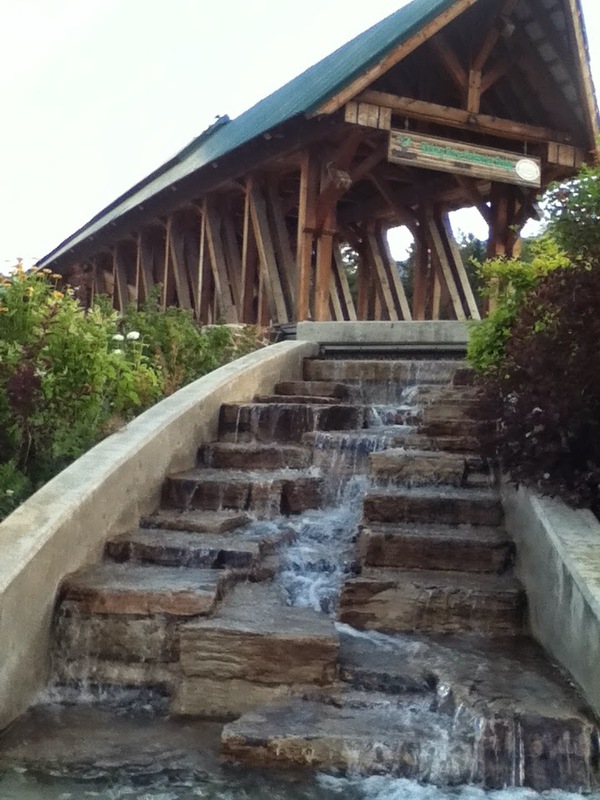 was this beautiful wooden bridge. 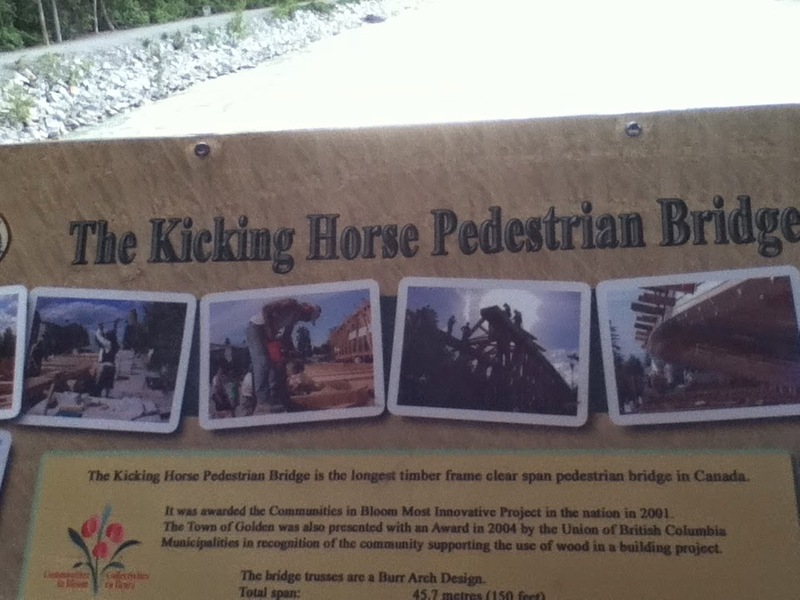 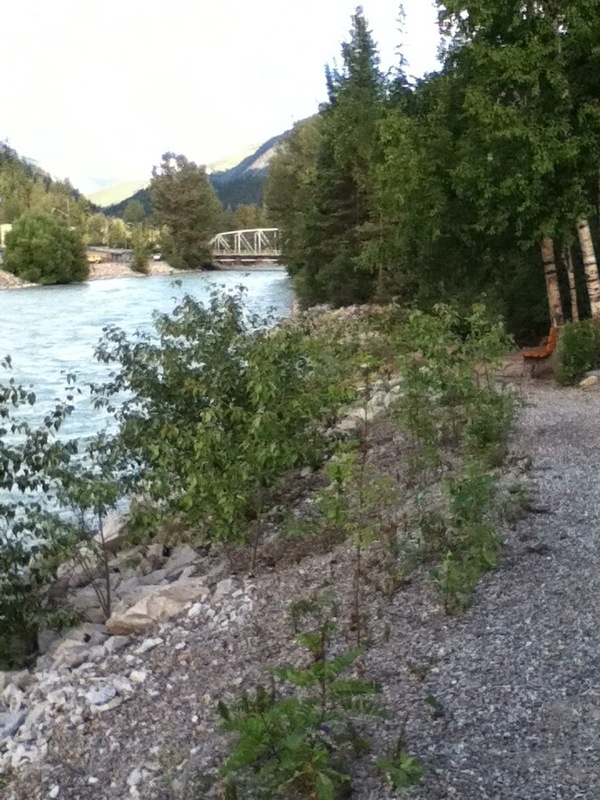 because it crossed over the kicking horse river. 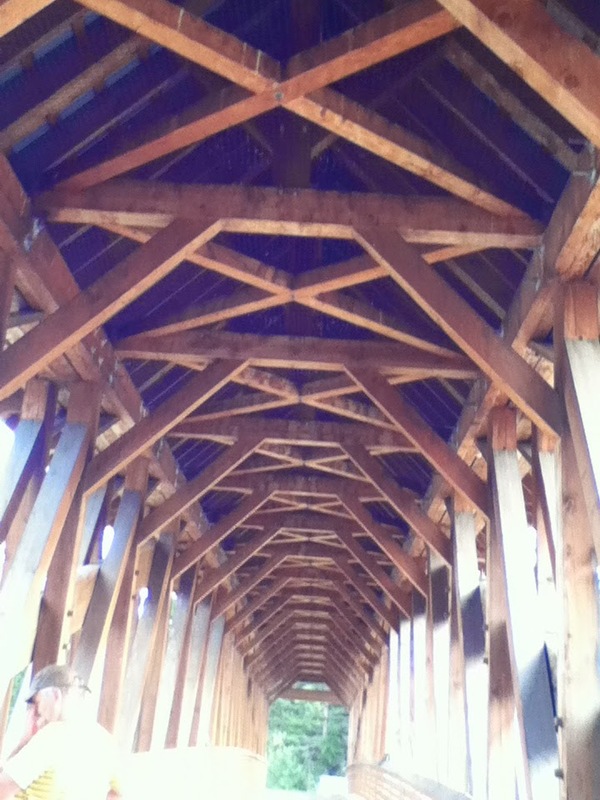 measuring 46 meters (151 feet) across.and constructed of douglas fir timbers. 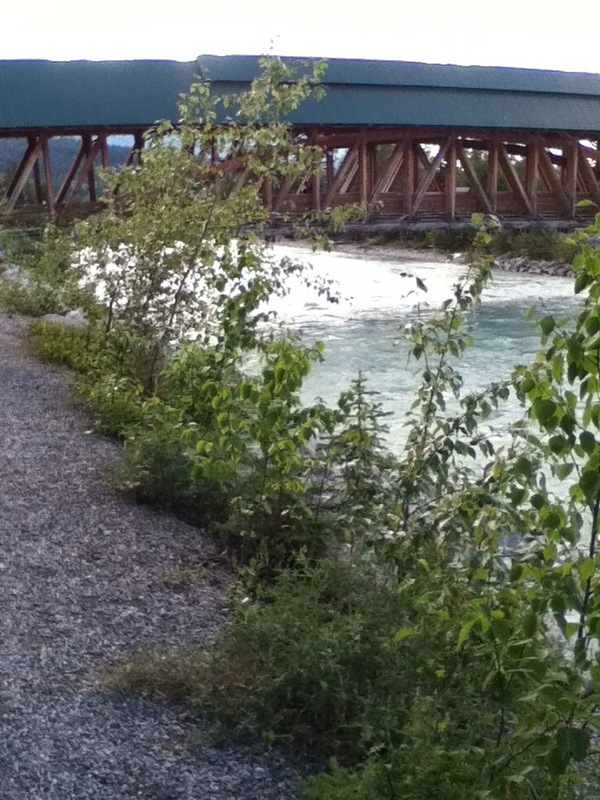 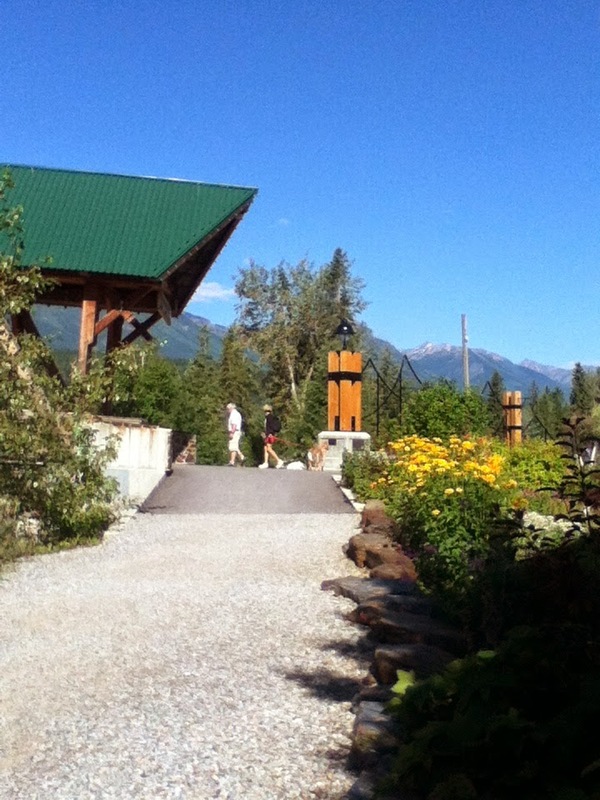 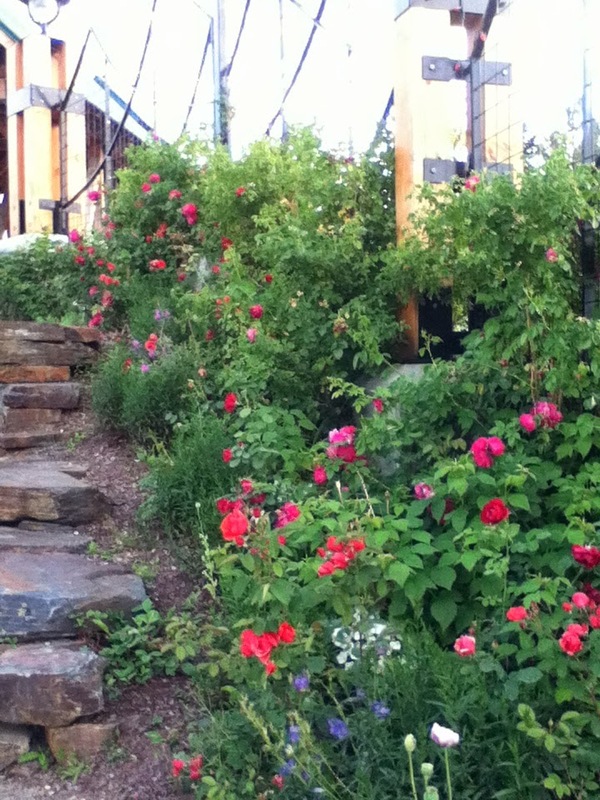 furthermore, the bridge intersects the walking paths that circles the river. 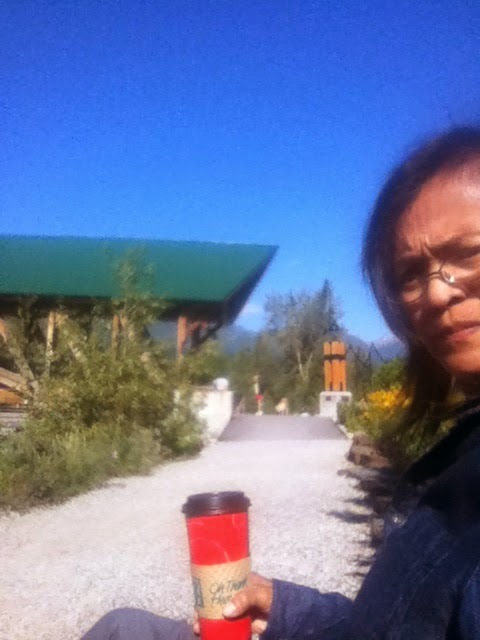 while i waited for the rest of my travelling troop to wake up. 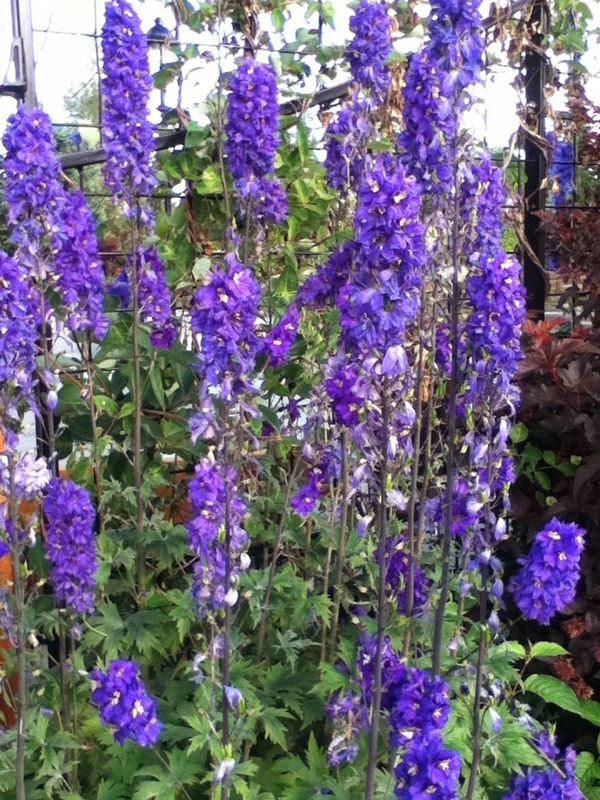 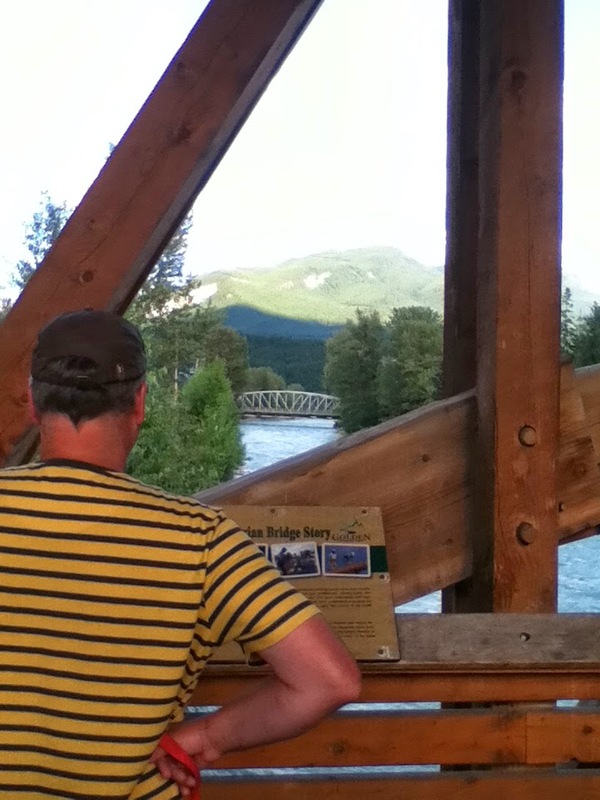 it's a definite must stop and see... if you are ever in golden, bc ! 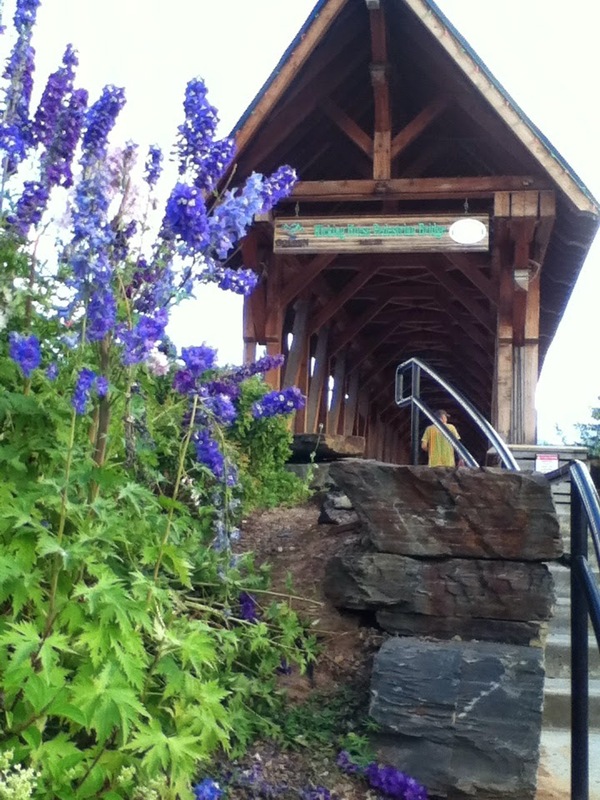 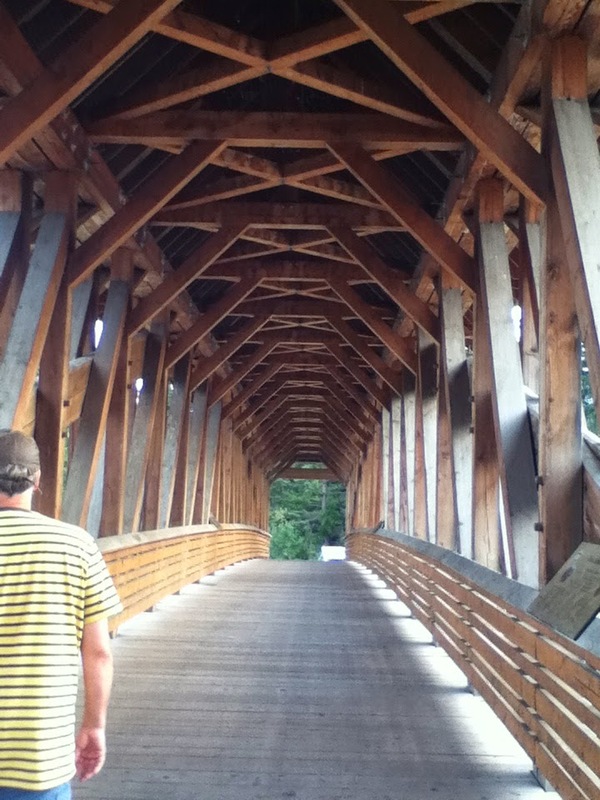 yes, it was a beautiful structure... don't you just love wooden bridges?